Moringa tree grows in tropical and subtropical weather, and has been a part of Ayurvedic medicine since 2000 BC. 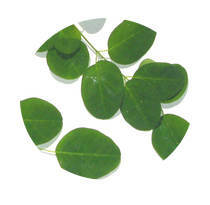 Due to its properties it is also known as “Miracle Tree,” “Elixir Tree” and “Mother's best friend”. Suggestions for use: Add approximately 5 g to prepare infusions. Add to smoothies and drinks. Sprinkle on food.